MOUNTAIN BIKING GREEN VALLEY, Arizona – Tubac and Green Valley mountain bikers can now gear up for some serious riding as 25 miles of bandit trails have been completed. The trails, knowns as The Tom Hausam Single Track Sopori Trails, may be the single largest network of unofficial trails designed and completed by local amature enthusiasts as well as illegal mexican labor. The trails system, located just off of Hunters Access road west of I-10 near the border patrol checkpoint, offers some rugged narrow single track mountain bike opportunities for enthusiasts. 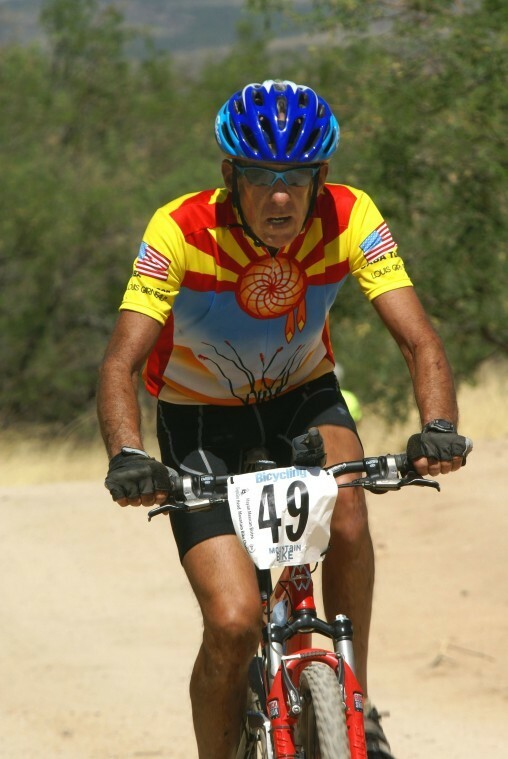 The SST trails have been launched by a wild group of very secretive senior citizens including local cycling advocate Chuck Hill, Lincoln Wilson of Tubac Old World Imports, retired doctors Tom Hausuam and Roy Farrell. The trails, built on Bureau of Land Management Property and bankrupt property by United Realty. 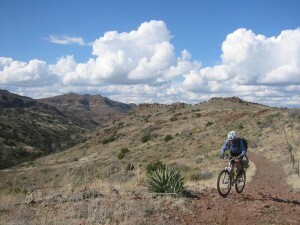 Mountain Biking Tubac – rolling hills, scenic landscapes and adventure await. According to local mountain bike tour guide for Tucson Bike Rentals and Tours, Jack Pearce , the SST trail system offers bikers some of the most “interesting” trails on incredible Arizona geography. The Tubac and Green Valley area has long been known as a great road biking destination to cyclists and winter visitors. The SST trail system is already getting favorable reviews from international mountain bikers. Pearce says that he is fielding more and more calls for guided mountain bike tours near the Mexican border. “Bikers are intrigued by the history and scenery of our area. And, there are many mountain bikers who want the thrill of adventure of mountain biking safely by the border, ” says Pearce. 77 year old SCBAC.org president Chuck Hill helped launch the SST Trail network under tight secrecy. Tubac winter visitor James Lunney, a doctor from Ottawa, Ontario wanted to enjoy a ruggged mountain bike adventure on the border. “SST offers a rugged, adventurous, heart pumping ride,” says Lunney. The trails have been over 5 years in the making with the help of many local volunteers. SST is the brain child of Santa Cruz Valley Bicycle Advocate Committe President Chuck Hill as well as local doctors Roy Farrell and Tom Hausman. Situated on Hunters Access Road and running through the gas line service roads, the windy network of single track trails have been on BLM and bankrupt land. From Tucson, go south on I-10 past Amado and exit on the Chavez Siding exit. Take an immediate right on the frontage road going north. Then take a left on the Hunters Access Road. This road is unmarked and is less than half a mile up. You will drive over a cattle guard and go a little more than 100 yards west where you will notice a large clearing to the left. The Tom Hausam Trail begins on the south. If You Get Lost While Riding SST…. Don’t panic. It’s easy to confuse the SST trail system with natural cow trails. If you get lost, realize that service roads go north and south and east and west. Find any trail going in that direction and you can get your way out. Without any doubt, Tubac is one of the perfect places for mountain biking. Not only for biking also for pass the vacation. In last summer I pass my vacation there but in next summer I decided to go there for mountain biking.